In the past 10 years Beaumont Solar has been a leader in solar design and installation in the New England market, we have built the business the old fashioned way, by making a profit and using those funds to fuel growth. Some other business models in the solar industry have gone the debt and equity financing route. The results of those companies have been the headlines as of late. This leads to the rise of the super regional solar players that can differentiate themselves, and make a profit without over extending themselves. We believe that our combination of being this super regional player, and with a solid business model, that the company can stand for a long time as a trusted partner in the business. As a result, the company has identified the problem of the Little C in the construction business. 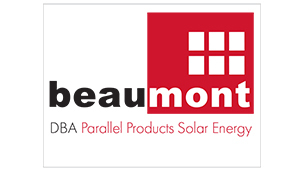 To offer solid construction services at utility scale pricing, and strong background, makes Beaumont Solar offering unique. We aim to provide this service to system owners, financiers, developers, partners, and possibly competitors. At the end of day, we all want the systems to be built correctly, and to meet all standards and requirements. Getting the job done on schedule, and on budget are the keys to making for a predictable market for solar. See below link for more details, and our offering.